A limited edition celebrating a jazz icon. 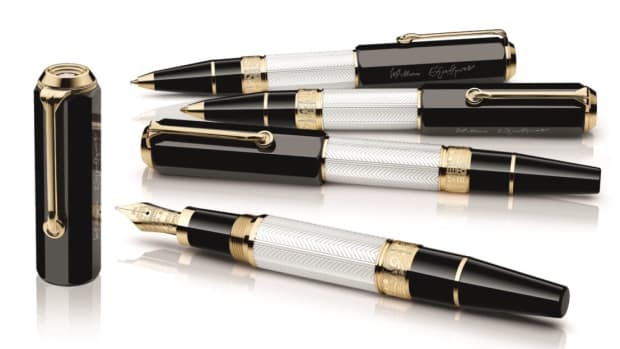 Nobody does elaborately designed pens quite like Montblanc. For the latest in their Great Characters series, the company celebrates Jazz and music icon, Miles Davis. 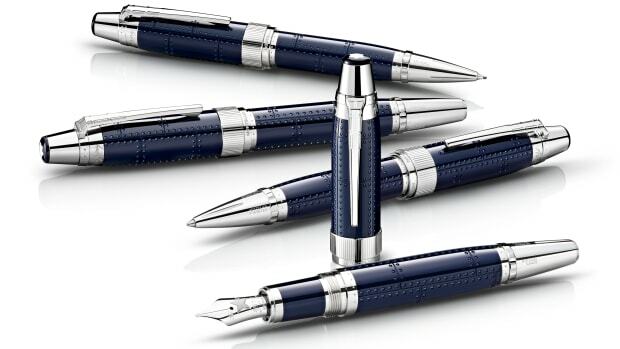 The series features three pens, but it&apos;s the Special Edition model that we&apos;ve got our eyes on. The cap and barrel are wrapped in a sleek black resin that&apos;s decorated with: "the five diverse movements Miles Davis was part of: Be-bob, the style that dominated the early part of his career, Cool Jazz and the Miles Davis nonet that performed on the seminal “Birth of Cool” recordings, Hard Bop with its African influences, Modal Jazz with an oriental theme and finally Jazz Fusion represented by the mixed shapes and techniques." Other details include platinum-coated fittings that add a striking contrast with its trumpet piston design and a blued mouthpiece-shaped cone. 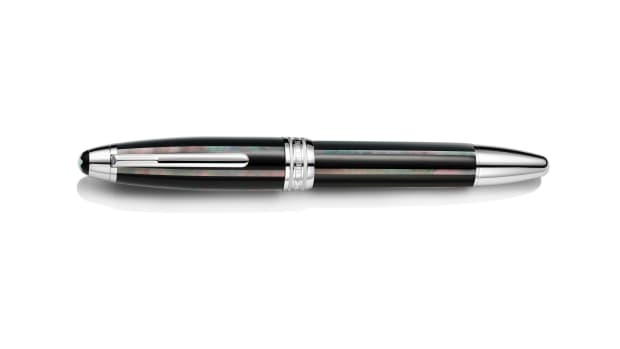 The pen is available in rollerball, ballpoint, and fountainpen models and are available this month at Montblanc retailers and dealers. 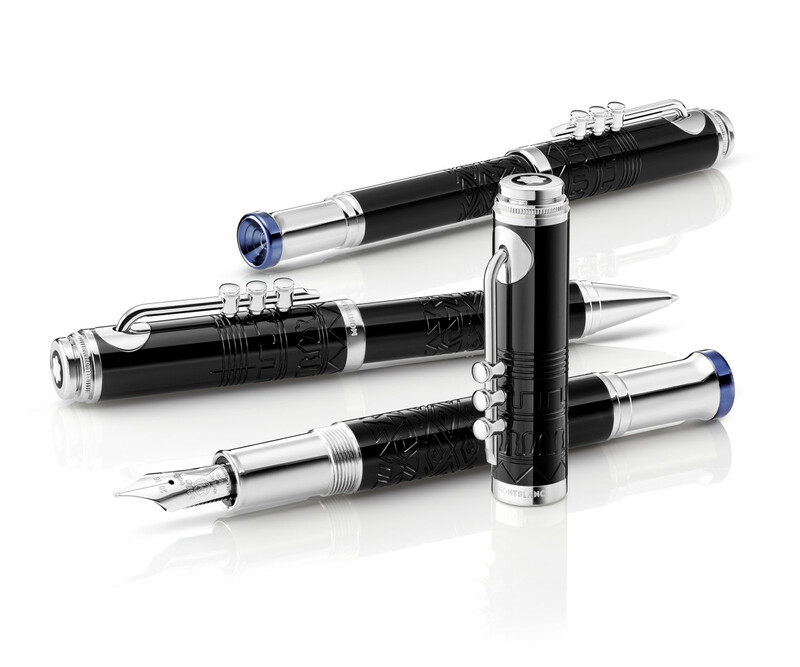 The limited edition celebrates the author's love of aviation. The company celebrates Shakespeare's 400th Anniversary.